With the long downhill section on Stage 13, it is interesting to look at who some of the best descenders in cycling are. 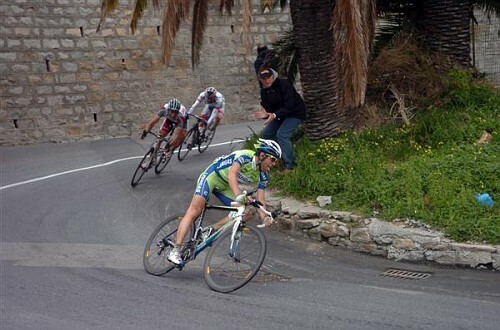 Just as sprinting and climbing are relatively specialised skills, being able to descend at speed requires great talent and skill to pick the right lines to minimise the speed that you lose around corners. Clearly, the slightly bigger and heavier cyclists will have an advantage to a certain extent as their greater weight will allow them to naturally descend faster due to gravity. However, this is slightly balanced out by the fact that they are likely to have higher centres of gravity meaning that they find it harder to take some of the tighter corners with the same stability as the smaller riders. One of the best descenders in the world is the Italian, Vincenzo Nibali. 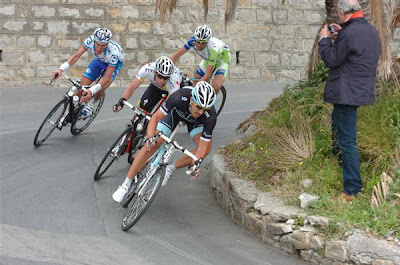 Out of major GC contenders in the big races, he is the most naturally talented descender, although his inconsistency in other areas will always cost him in the big races. However, he is not currently racing in the Tour de France and hasn’t since 2009. Out of those riders currently in the race, there are three names that particularly stand out as top class descenders. Yesterday’s stage winner, Samuel Sanchez, is one in particular and he has repeatedly been able to either close gaps or move out ahead on his own on major descents. The current road race world champion, Thor Hushovd, is another rider who is often cited as a quality rider on the descents. Indeed, he was named by other professionals as the best descender in a poll several years ago and he can often use this ability to close the gaps that can open up on the ascents. It is one of the reasons why he can often finish significant margins ahead of other sprinters on mountainous stages as he can claw back time once the climbing section has finished. The third of the trio is the current Olympic gold medallist and time-trial specialist, Fabian Cancellara. He is a big, powerful rider which gives him an advantage on the descents and his technical ability means that there are very few who can remain with him, especially on the more technical descents. 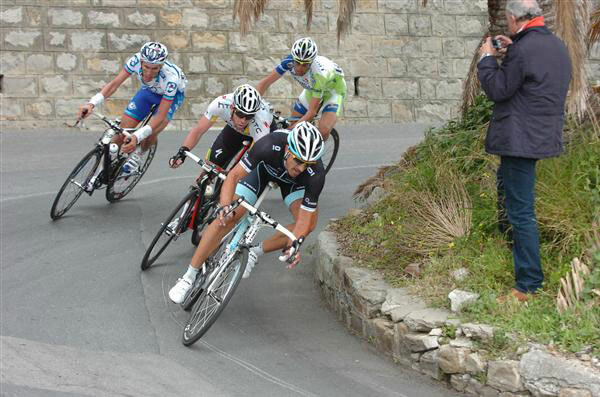 Outside of the big three, there are several other riders who stand out on the descents. Movistar’s David Arroyo often looks confident and quick on the descents, as does Leopard-Trek’s Linus Gerdemann. Finally, Radioshack’s Yaroslav Popovych is also known as a good descender.